Bitcoin has earned huge popularity and achievement over the years. From making millions of dollars to become the victim of scammers it can be nightmare for you. As they say the good comes with the bad so with immense popularity and enormous value, it is definitely in the list of scammers. This means that if you own BTC and are unprepared for scammers you might end up losing your BTC. If you own bitcoin or planning to buy some you are at the right place. In this guide we will help you understand how to identify scams and be avoid this fraud. Why Bitcoin is in the list? While the coin is making money and expanding business, scammers also want to take advantage of this new technology. Since money is the basic need they find the one other way to make profit by not earning. Lack of understanding: People generally know the creamy things of bitcoin and not actually the basic understanding. This makes it easier for scammers to paint their mind with their brush. Unregulated: - There are not standard rules and policies against scammers or fraud in digital currencies. Hardly we have some authorities that will ever take any strict action against it. Anonymity: - It is really hard to track the scammers as it is very easy for them to cover the tracks. Once your bitcoin is stolen it is not coming back to you for sure because there is no backtrack. Often, we encounter advertisements like buy bitcoin at 5-10 % lower than market price and et attracted towards it. This is the trick to make people visit these fake exchanges. While visiting any exchange we should always keep in mind that it should be HTTPS secured. If it is just a HTTP website without s than this is not the right place for you to be. Most of these websites are unsecured and pack up their bags after a huge scam. A wallet is to store your coins and identifying if it is authentic or fake is quiet a tough task. As the wallet is not used to sell or buy Bitcoins the only way to scam is to infect your system with malware and steal your credentials or private keys. Always check for malware and consult with your peers if they have ever heard of this wallet. If the wallet is downloadable app check for resources if the executable files are malware. Keep your system updates and virus protected. Ponzi scam is also very common and always with fake promises like double or triple your bitcoins in a day or week etc. It is very hard to determine of this site is Ponzi. The offer that they are going to double our bitcoins attracts most of us. But think that they will double our coins when we will give it to them initially and what is the guarantee of getting it back? 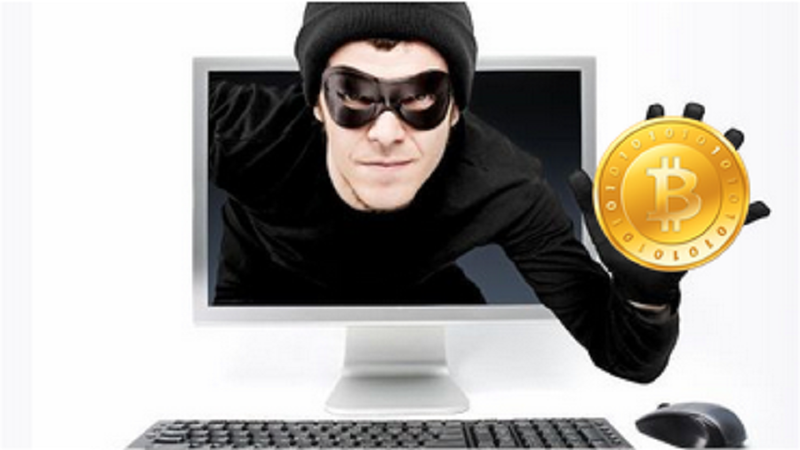 If you are a new comer to Bitcoins you need to be very careful. Not all cloud mining operation is scam. Cloud mining is basically shared mining platform where people pool their bitcoins to rent mining machines. If this is authentic, it will give you good results and truly profitable. Always look for the fishy things because being cautious is better than being victim. Always do a proper research about the mining operations and https link. There are very few things you need to take care of to be protected from scam or malware. If you are unsure at any point or have any doubt, try finding a flag and take a step asap.